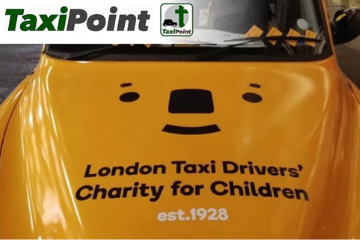 The London Taxi Drivers’ Fund for Underprivileged Children and children’s charity ‘Norwood’ have revived a historic relationship that goes back almost 90 years. 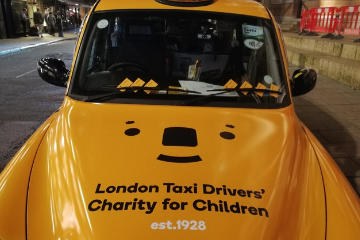 Taxi driver Mick Cohen, who was housed at the orphanage in Norwood as a child, first had the idea to raise money for the Norwood orphanage in 1928 and recruited 12 black licensed cab drivers to help his cause. 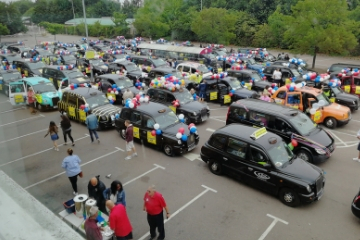 As well as organising the first outing for the children, he and his colleagues raised money for the home – and the LTFUC was born. The fund, which to this day supports children with special needs through donating to relevant charities and organising outings, last week donated £1,214 to Norwood’s Buckets and Spades children’s service in East Finchley. 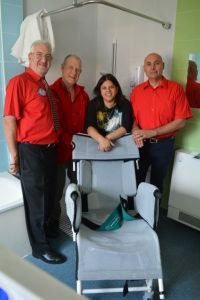 The money has gone to purchase a specialised shower chair, which is a crucial piece of equipment that allows the young people who use the home to bathe safely and comfortably. Three committee members of the LTFUC, Hon. Secretary Malcolm Shaffron, PR Raymond Levy and Appeals Officer Colin Greaves took a tour of the home on Wednesday 7th June 2017 to see what their donation had paid for, as well as taking a tour of the service and meeting Buckets and Spades Home Manager, Annette Shimoni. Annette said : “Donations like this are absolutely crucial to us to be able to keep offering the support we do for these young people. We receive some funding, but it only covers staffing costs, so for everything else here we rely on the generosity of people like the LTFUC. This shower chair will do a lot of good as it will allow people to shower safely”. LTFUC Honorary Secretary, Malcolm Shaffron, said : “We chose Norwood because of the incredible shared history between the two organisations. As we approach our 90th anniversary in 2018, it is great to re-visit the relationship that started it all. 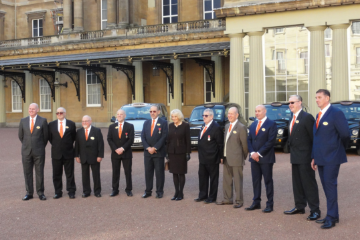 It is also great to come to a service like this and see directly what difference our donation will make”.